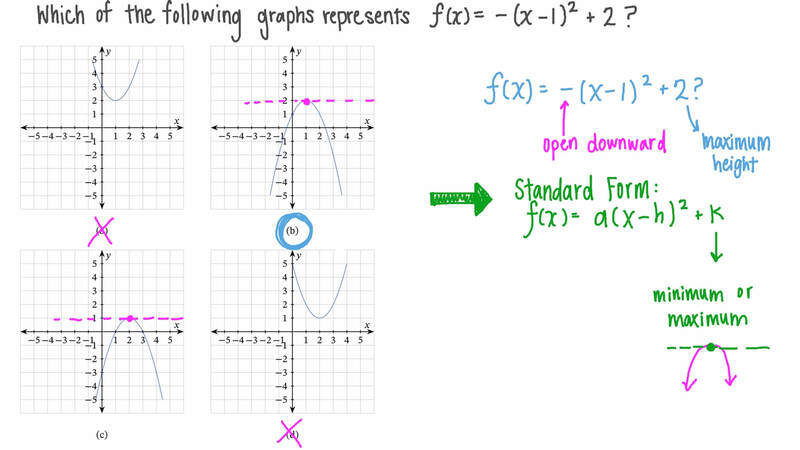 In this lesson, we will learn how to change a quadratic equation so that its graph (a parabola) is shifted and/or compressed or dilated and vice versa. Describe the sequence of operations on the graph of 𝑦 = 𝑥  that produces the graph of 𝑦 = 𝑥 − 6 𝑥 + 1 4  . Which of the following graphs represents 𝑓 ( 𝑥 ) = − ( 𝑥 − 1 ) + 2 2 ? 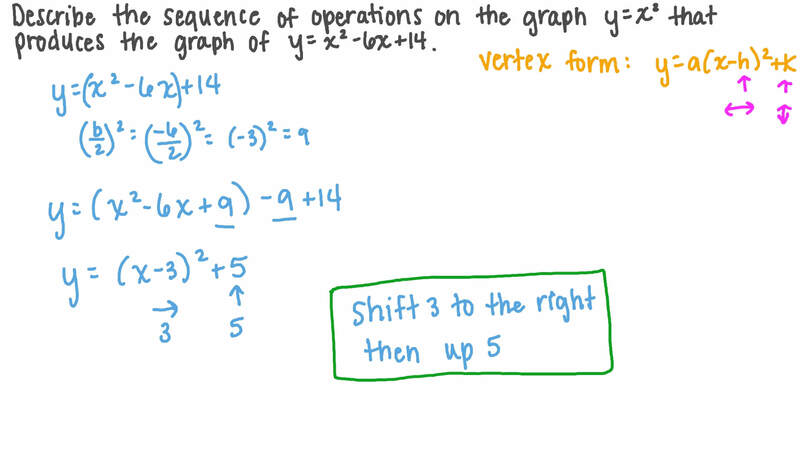 Describe the sequence of operations on the graph of 𝑦 = 𝑥  that produces the graph of 𝑦 = 𝑥 + 𝑎 𝑥 + 𝑏  . This is the graph of 𝑓 ( 𝑥 ) = 1 5 0 − 𝑥 5  . Which of the following is the graph of 𝑦 = 1 5 0 − ( 𝑥 + 1 0 ) 5  ?